What’s your lucky number? According to numerology, it might really have a secret significance. The first numbers were just mnemonic symbols to record trade transactions (The Story of Writing). We use a decimal system, but how many digits do we really need? Some Australian Aboriginal tribes only have words for one, two and many. The super-computers that control our space program just use the numerals 0 and 1 (off and on). But numbers are more than a mere tool for calculation: they are the product of sign and sound, and have esoteric meanings. 0 was invented by Babylonian priests in the Middle East around 500BC. The mathematician Fibonacci brought it to Europe around 1200AD, along with the rest of the Arabic numerals. * Zero is implicit in multiple dichotomies: absence and presence; dark and light; yin and yang. The circle is a symbol of eternal perfection, but zero originally carried connotations of dark magic: transcribing ‘nought’ was potentially an act of annihilation. 1 is a symbol of unity and wholeness, linked with God in the monotheistic religions. 2 is a symbol of division, the conflict which characterizes worldly existence. It represents duality and hence potentially complementarity. In stories, twins or brothers represent different aspects of the same character. In China, the number 2 is considered lucky. At New Year, bright-coloured oranges are given in pairs. 3 is the number of divine order. It combines the numerals of 1 (divinity) with 2 (humanity). Three represents the trinity of Heaven, Earth and the Underworld. Time itself is divided into the past, present and future. The Hindu triumvirate of Brahma, Vishnu and Shiva embody creation, preservation and destruction. 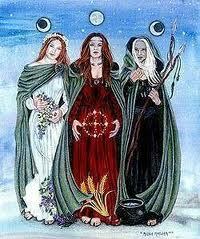 For the Greeks and Celts, the Triple Goddess manifests as the figures of Maiden, Mother and Matriarch (Crone). Most human societies have a tripartite division (warrior-lords, priest-scholars and producers). Three is an auspicious number: third time lucky, as the storytellers remind us. 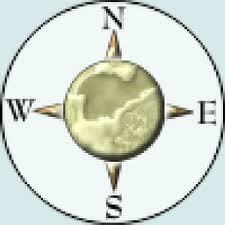 4 represents the cardinal directions, or points of the compass. The number 4 therefore represents the world and earthly existence. In Western tradition there are four winds, four seasons and four elements. Jung regarded quaternity as ‘the archetypal basis of the human psyche’. Four is especially significant in Native American myth and symbolism. 5 is the central point of the four directions. It is the sum of the first even and odd numbers, symbolizing the unity of male plus female, and the median of the first nine digits. For Muslims, there are five hours of prayer and five ritual elements of the hajj (pilgrimage). 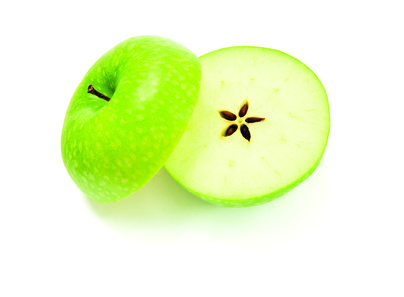 The pentagram is a symbol of esoteric knowledge, as evinced in the cross-section of Eve’s apple. 6 points characterize the star formed by a pair of inverted triangles. In Hindi tradition this represents the lingam penetrating the yoni, or the union of masculine and feminine. 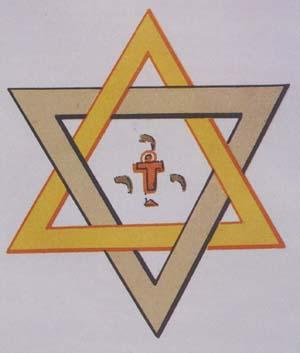 In the West it became the Seal of Solomon (Star of David), showing the human combination of flesh with spirit. Six embodies the balance of good and evil in manifest creation. 7 is the sacred union of four and three: it is the number of wholeness and perfection. 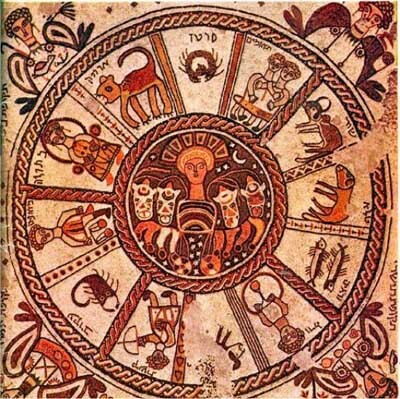 There are seven days of the week; seven planets; seven branches on the shamanic tree. Our lives go in seven-year cycles, and there are seven ages of man. 8 is the number of cosmic balance. Sideways, it is the mathematical symbol for infinity. 9 is thrice three, a sacred ritual number in many traditions. Greek Demeter wandered the earth for nine days searching for Persephone. 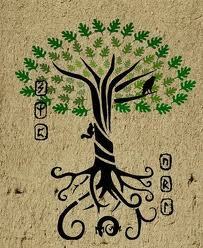 Norse Odin hung on the World Tree for nine days in search of wisdom. There were nine steps leading up to the Chinese Imperial Throne. According to Dante, there are nine celestial spheres and correspondingly nine circles of hell. Inverted and subverted, a triple nine becomes ‘the number of the devil’. Numerology perceives meaning in quantitative symbols. Plato considered it the basis of cosmic and inward harmony; Pythagoras viewed it as fundamental to understanding cosmic rhythms. The Chinese saw it as the key to harmonizing their Empire with the Laws of Heaven. Nowadays we see digits as having pragmatic rather than predictive powers. 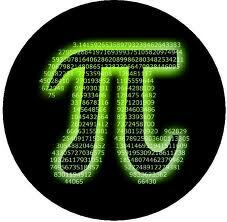 But if you don’t believe in the magic of numbers, just consider the miraculous properties of pi…. *Zero isn’t needed for simple record-keeping systems: the Romans had a symbol for ‘10’, a separate symbol for ‘100’ (10×10), another for ‘1000’ (10×100) and so on. But zero is useful if you have a positional system of counting. Take a number like 1001: you need to indicate that there is nothing in the tens and hundreds columns. A simple dash is easily confused, especially with a double gap. 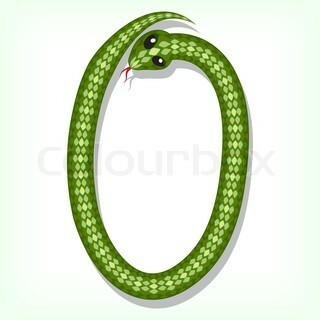 Originally, ‘0’ was just a token to fill an empty space. It began to be seen as a number in India during C5AD. Nothing (the state of emptiness) is something, a profound philosophical concept: zero is the average of +1 and -1: and bingo, the science of mathematics is born. **There are thirteen lunar months in the year. The number is thought by some to be unlucky, because of its pagan connotations: witches are said to meet in covens of thirteen, by the light of the moon. The Wicca movement has reclaimed thirteen as the number of the Divine Feminine. Visit my Author Page for more posts and pictures. ‘LifeWorks‘ is about how you use myths and archetypal figures to develop your life story. Visit my Author Page and follow me on Twitter @janebaileybain. If you like this post, use the buttons to Share on Stumbleupon, Facebook & Twitter. This entry was posted in Mythology, Spirituality and tagged number, numbers, Numerology, one, seven, symbolism, three, twelve, two, zero. Bookmark the permalink.